1. 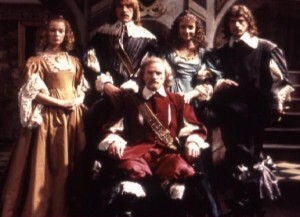 (2.07) “A Marriage of Inconvenience” – In this episode, France’s premier minister and former spy, Comte de Rochefort, uses an assassin to kill of members of King Louis XIII’s council and advance his position at court; while he learns the truth about Queen Anne’s past relationship with Musketeer Aramis. 2. (2.10) “Trial and Punishment” – In the season finale, Musketeers Athos and d’Artagnan rescue Constance from the executioner’s sword; and with Treville they help Porthos to capture the Spanish spymaster Vargas. Meanwhile, Louis has signed Anne’s death warrant, leading to a confrontation between Rochefort and the Musketeers. 3. 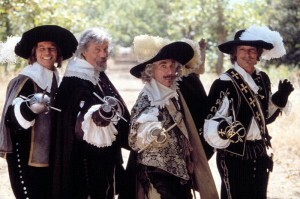 (2.02) “An Ordinary Man” – Wanting to experience the life of an ordinary citizen, the King Louis accompanies the Musketeers on the streets of Paris . 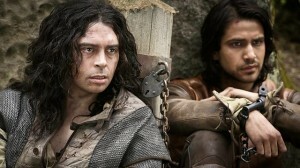 . . before he and Musketeer d’Artagnan are kidnapped by slave traders. 4. (2.09) “The Accused” – After being rebuffed by the Queen, Rochefort produces a fake letter from her to her brother, the King of Spain, in an effort to frame her for treason. Meanwhile; the royal physician, Dr. Lemay and the Queen’s aide, Constance Bonacieux; are implicated in an attempt to poison the King. 5. (2.03) “The Good Traitor” – An ex-general from the Spanish army arrives in Paris to plead for help in rescuing his daughter, held by Spanish agents in Paris; in exchange for a coded formula and cypher machine of a deadly new gunpowder that the Spanish also want. 1. (1.09) “Knight Takes Queen” – Musketeers Aramis and Athos are forced to protect Queen Anne from assassins hired by Cardinal Richelieu at a convent, after King Louis XIII expressed disillusion with the Queen’s inability to have children. Meanwhile, Porthos and d’Artangnan race back to Paris to gather more Musketeers to come to their aid. 2. 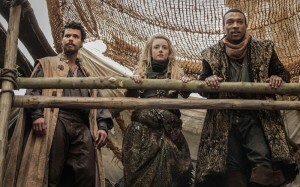 (1.06) “The Exiles” – Aramis and d’Artagnan try to protect a young woman and her baby, who are sought by armed men. Both mother and child are sought by both Cardinal Richelieu and the King’s treacherous the exiled Marie de’ Medici. Tara Fitzgerald and Amy Nuttall guest starred. 3. (1.10) “Musketeers Don’t Die Easily” – In the season finale, a rift develops between d’Artangnan and Athos, when the latter in a state of drunkenness takes his estranged wife Milady de Winter hostage and learns about her brief affair with the younger Musketeer. 4. 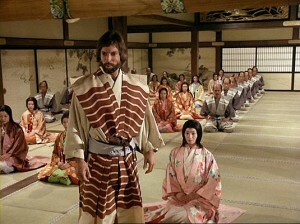 (1.05) “The Homecoming” – A drunken Porthos is framed for murder in his old neighborhood, Paris’ Court of Miracles slum. When his three colleagues seek to exonerate him, they stumble across a real estate conspiracy regarding the neighborhood. 5. 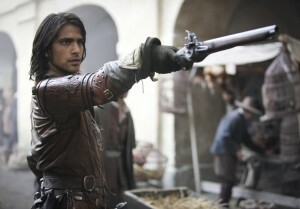 (1.02) “Sleight of Hand” – The Musketeers engineer d’Artagnan’s imprisonment in a cell with a notorious criminal named Vadim. The latter has a plan to use the visiting Queen Anne to escape and start a revolution. But his plans proved to be more criminal than political. Jason Flemyng guest starred.